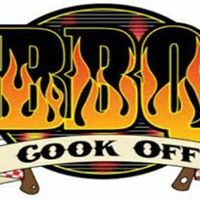 BBQ COOK-OFF WEEKEND JUNE 28-30TH-RAIN OR SHINE OR HEAT WAVE!!! JUDGING WILL BE SATURDAY JUNE 29TH AT 3:00 PM-LOCATION TO BE ANNOUCED. TROPHY TO BE GIVEN FOR 1ST PLACE AND 2ND PLACE. THERE WILL BE NO RESCHEDULE FOR ACTS OF MOTHER NATURE! HAVE YOUR BBQ TO DESIGNATED LOCATION BY 3:00 PM ON SATURDAY JUNE 29TH. IF YOUR NOT MAKING BBQ BUT WANT TO EAT PLEASE BRING A SIDE DISH OR DESSERT TO SHARE. RULES ARE AS FOLLOWS: MUST BRING 3 LB OF BBQ, MAY BBQ CHICKEN, BEEF, PORK OR VEGETABLES. MUST BE PREPARED AT YOUR CAMPSITE, MUST BE CAMPING WITH US. AND MOST IMPORTANT MUST HAVE FUN!! !